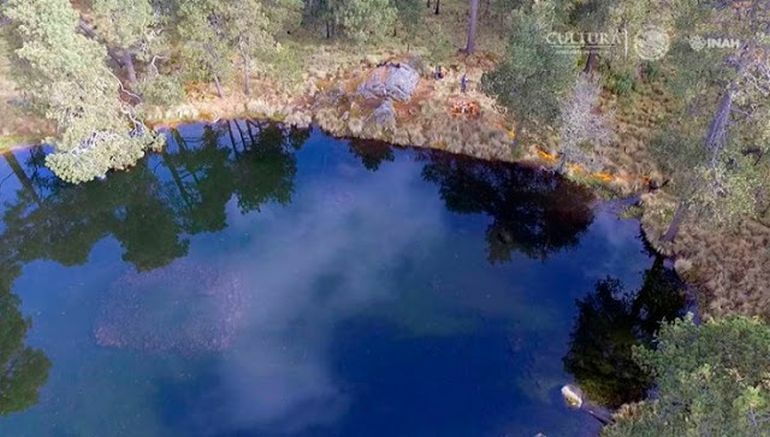 A thousand-year-old stone shrine in the middle of a pond located in the foothills of a volcano – the very description alludes to an enigmatic aura. However, beyond romanticism, this stone arrangement in question might just do one better, by actually representing how the earth was created according to ancient Mesoamerican cultures. 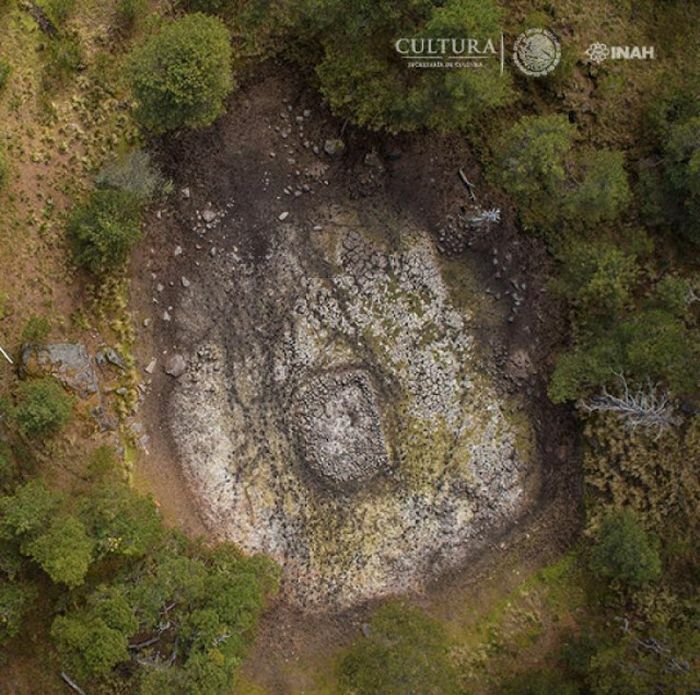 Also known as the Tetzacualco (that possibly means ‘stone enclosure), the simple structure has been known to explorers since the 16th century. Considering this scope of legacy, there had been various conjectures devised by different sections (ranging from amateur historians to professional archaeologists) regarding the purpose of the stone. This time around, the researchers at Instituto Nacional de Antropología e Historia (INAH) – the very same organization that uncovered the curious Chinese porcelain fragment from Mexico’s Acapulco port, have put forth their hypothesis that relates to the aforementioned Mesoamerican representation of the ‘design of the world’. 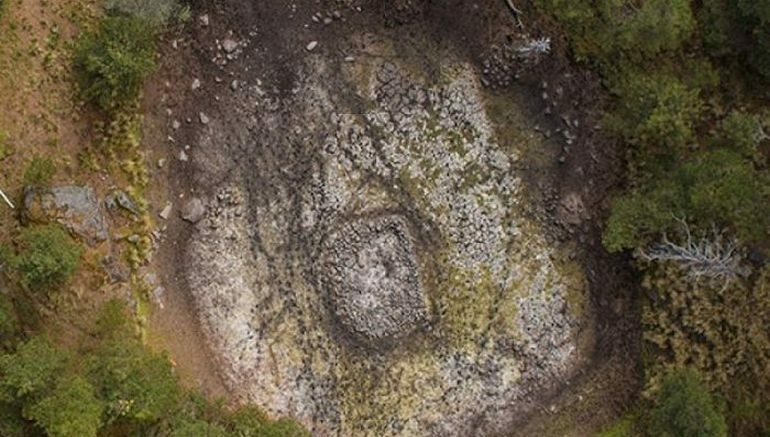 The Tetzacualco in itself comprises several stones arranged in a composite structure that is around 37.7 x 32.2 feet (or 1,214 sq ft), located at Nahualac in the foothills of the Iztaccíhuatl (‘white woman’) volcano, in south-central Mexico. Now according to the team at INAH, their assessment – fueled by a series of excavations, is the probably the most comprehensive investigation of the particular site carried out by a noted archaeological institute. To that end, in their initial findings, the researchers were able to identify both pottery and stone-based artifacts that were made a millennium ago. Interestingly enough, the experts were also able to discern how the Mesoamericans of the region – preceding the Aztecs by almost three centuries, tried their best to even irrigate the surrounding pond on a year-round basis, so that the body maintained its water even when there was no rain. The scope of design and water supply might have created the visual effect of the stone structure floating atop the pond. These visual effects, in addition to the characteristics of the elements that make up the site and the relationship they have with each other, make us suppose that Nahualac could represent a microcosm that evokes the primitive waters and the beginning of the mythical time-space. 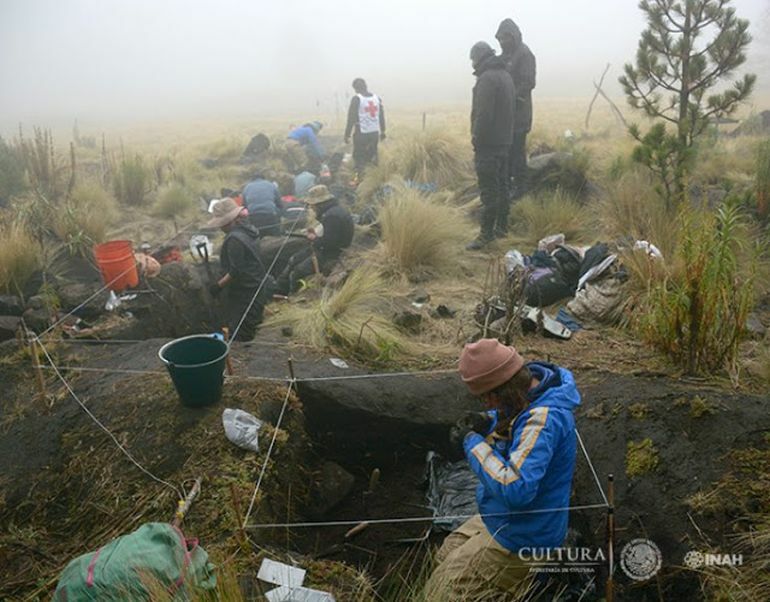 In this area, ceramic materials were identified on the surface, some of them identified as Coyotlatelco (750-900 AD), Mazapa (850 to 900 AD) and Tollan Complex (900-1150 AD). 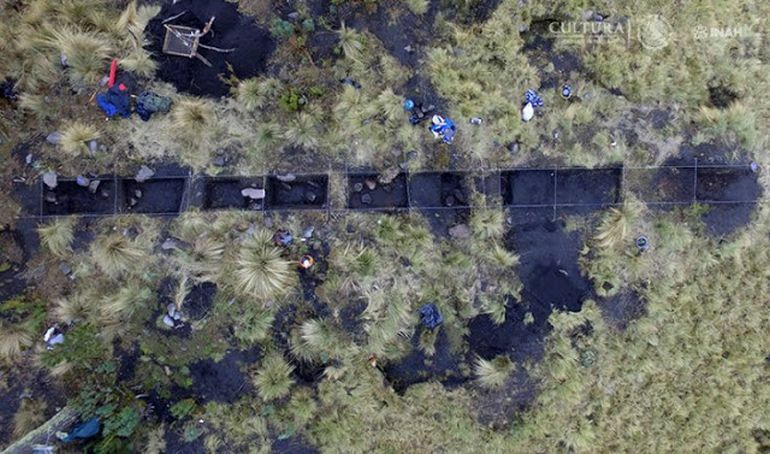 Altogether, the archaeological evidences cover an approximate area of 300 by 100 meters. The existence of a tetzacualco (shrine) in the middle of a natural pond and the optical effect that occurs when the water mirrors, from which it seems that the structure emanates, suggests that the place is the representation of a primeval time and space, a miniature model of the universe.